I was able to pick up the new MagicBands today and get some high quality pictures. The bands are available throughout the parks, but I picked mine up at the Nikon Camera Center right inside Epcot. The Americana Mickey is Limited Release and the Grumpy is Open Edition. Americana Mickey is the first Limited Release band to be released within either of the four parks at Walt Disney World in quite a while. 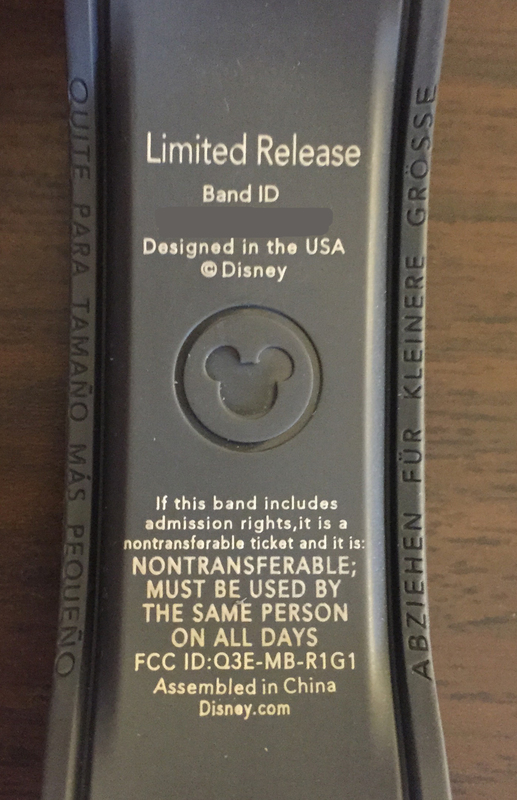 Not counting the runDisney bands, which were released at the ESPN complex, the last Limited Release band released was back in late 2014 for the New Years 2015 Mickey MagicBand. This band does come in standard hanger packaging with the gray Limited Release sticker on it. 14 Responses to "High quality pictures of the new Grumpy and Mickey MagicBands"
Weren’t a couple of the Star Wars Magic bands limited release in the last month or so? No, those were Limited Edition (in the boxes) and Open Edition (Stormtropper and Luke). No Limited Releases. $19.95 for any Open Edition band (Grumpy), $24.95 for any Limited Release band (Americana Mickey), $29.95 for any Limited Edition band. Are any of these being sold at Downtown Disney? I am not sure yet, since they just came out. Thanks for the details! I know Grumpy is in Epcot for sure. I was wondering… My old solid color magic band from 2013 seem to be discoloring is there a way to clean or prevent it from happening? I’m thinking it is because my husband and I spent a lot of time in the pool do you think that’s why? I have seen that all bands tend to get a white film on them after sitting for a while. It’s happened to a number of mine that have never been in a pool (although pool use may quicken the effect). I’ve been able to just rub it off with my fingers, but if that doesn’t work you try an old toothbrush. Let me know what works for you. How long will they be selling the america mickey magic band for, i will be going in august so hopefully they will have them when i go. They will sell them until they are sold out. They are Limited Release so I have no idea how many were made, sorry.